Rolling green hills, a skyline of trees and no traffic in sight. Yes, this is Thailand. Today in partnership with the prestigious Mae Fah Luang University, we’re supporting an educational institution famous for its breathtaking natural environment in their vision to become a Green University by going Google. Through the Google Apps for Education Support Program, 14,000 teachers, students and personnel from Mae Fah Luang University can now leverage a collection of free email and open collaboration tools including Gmail, Google+, Docs, Calendar and Groups just to name a few. 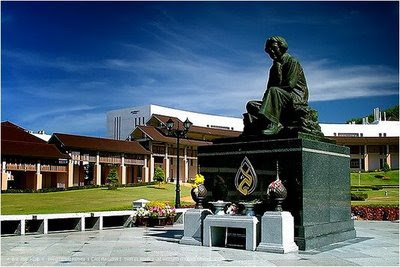 They can also lead by example as the first educational institution in northern Thailand to go Google. Our easy-to-use and easy-to-access products and tools encourage students and teachers to take full advantage of the web and collaborate in interactive learning environments. 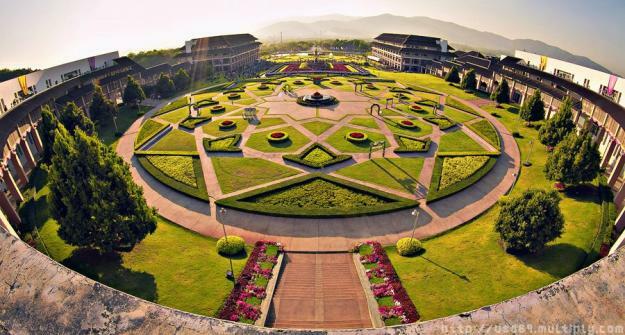 Classrooms are now enabled by the cloud which means then can go wherever teachers and students are, no matter if they are on a bus, at home or enjoying one of the many beautiful gardens on Mae Fah Luang university campus. 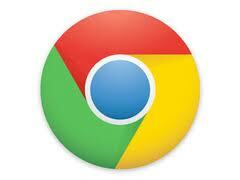 So how does going Google help an organization go green? Gmail and Google Apps are helping organizations around the world achieve their sustainability goals. All of Google’s products and services live in the “cloud” rather than on local servers. Because of our efficiency efforts, our cloud is, well, greener. This means businesses that use Gmail and Google Apps are greener too. Using our cloud-based services substantially decreases a wide range of costs—from IT infrastructure setup to management to something as simple as how much paper your organization saves from collaborating online instead of printing. In fact, our analysis suggests that a typical organization can achieve substantial energy and carbon savings—ranging from 65 to 85%—by migrating to Google Apps. Using Gmail is also more energy efficient than using email hosted on local servers because Gmail is hosted in the cloud. This study shows the math behind our calculation that an organization using Gmail can decrease its environmental impact by up to 98%. Now that is seriously green, and all of these tools (and our on-going support) is made available to educational institutions in Thailand and around the world at no cost. Just 9 months ago, we were excited to announce the first university in Thailand to go Google in Khon Kaen province; today 13 educational institutions and over 300,000 students, teachers and academic personnel in Thailand have gone Google and that’s just the beginning. Leading-edge technologies, like cloud computing and collaborative tools, have a vital role to play in helping equip future generations with the skills they need to thrive in the workforce of today and tomorrow. They also positively contributes to the online ecosystem by generating quality local content that crosses countries, cultures and languages and moves the web and the world forward. That’s why we support collaborative learning in communities around the world, and why we invest heavily in education programs initiatives and partnerships through our products and tools. We’d like to say thank you for giving us the opportunity to become partners in education in Thailand and we’re looking forward to growing the Google Apps for Education community and sharing the stories of Thai teachers and students who inspire us with you and the rest of the world. Today we’re announcing thai.ramaya.na a new Chrome experiment that brings the magic of the Ramayana epic to a modern audience in a high-tech format. The Ramayana was first written down about 2,500 years ago, in some 50,000 lines of Sanskrit verse. Originally an Indian epic, the Ramayana spread throughout Southeast Asia, taking on local flavours and evolving along the way. The story lives on in many forms through puppets. It has appeared as movies and TV series. While Ramayana is an ancient Sanskrit epic which spans 24,000 verses across 7 books, our interactive version covers the episode where Prince Rama battles the Demon King Rahwana to rescue his wife, Shinta. To give the ancient tale a modern twist, we told the story using Google products like Maps, Chat and also Chrome-specific elements like the Incognito mode and Omnibox. For example, when Princess Shinta's father gave an official announcement to ask for suitors for his daughter's hand, he told the kingdom via Google Chat; and when the Demon King Rahwana wanted to trick Shinta by disguising himself as a monk, he slipped into Chrome's incognito mode which allows him to take on a different identity seamlessly. Beside Google and Chrome-specific elements, we also used WebGL and HTML 5 in several parts of the story which the audience are familiar with, such as the burning of Rahwana's kingdom, and building the Bridge of Rama. We were inspired by the Chrome Experiments that re-imagined the music video, such as The Wilderness Downtown and Three Dreams of Black. We took the basic storyline of the Ramayana and thought about how the characters might act today, such as communicating with their friends (via chat) or finding new locations (via Google Maps) [example]. Visually, Ramaya.na is presented across multiple, synchronised browser windows, that use features like Canvas in HTML5 to both present action as well as encourage participation. Special thanks to Sahawat Naenna, Director General of the Fine Arts Department and Pakorn Pornpisut, Director of the Office of Performing Arts for their guidance and insight into the creation of this Chrome experiment and Khun Ton, from the band Apartment Khun Pa, for the beautiful Ramayana soundtrack that accompanies the site. Try it today at thai.ramaya.na. For ultimate viewing experience, please disable a pop-up blocker and enable a full screen mode. Chrome experiments use modern web technologies to make magic and we have over 500 experiments which showcase the latest web technologies. A more powerful web means everybody benefits -- the features that Chrome has made mainstream have given web apps more features (like offline support) and made them easier to use (by removing the need to install a plugin to use a webcam).